This china message plate is the perfect keepsake to remember that special occassion. 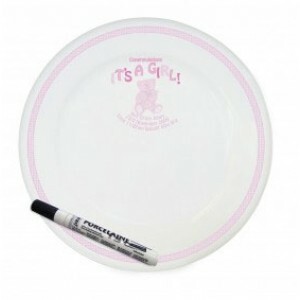 The words It's A Girl are standard but you can personalise this plate with a name, date, occasion, or weight at birth. Your message will be printed over 3 lines with a maximum of characters per line including spaces. Please enter these details into the text box below.